FINAL FANTASY XII (much like my forever-favorite FINAL FANTASY XI) is one of those games that either you fell in love with when it was first released in 2006 and thus completed over two-hundred hours worth of content or…you passionately hated Vaan and everything else about this game. But no matter what you may think about the game, Square Enix is remastering and updating the never-before-distributed-outside-of-Asia-and-thus-ironically-named INTERNATIONAL ZODIAC JOB SYSTEM EDITION for the PlayStation 4 in July 2017 as FINAL FANTASY XII: THE ZODIAC AGE. I was able to get my hands on the demo of the game and try out some of the gameplay combat, look at the graphics, and enjoy the music at the Square Enix booth at E3. (Images courtesy of Square Enix). 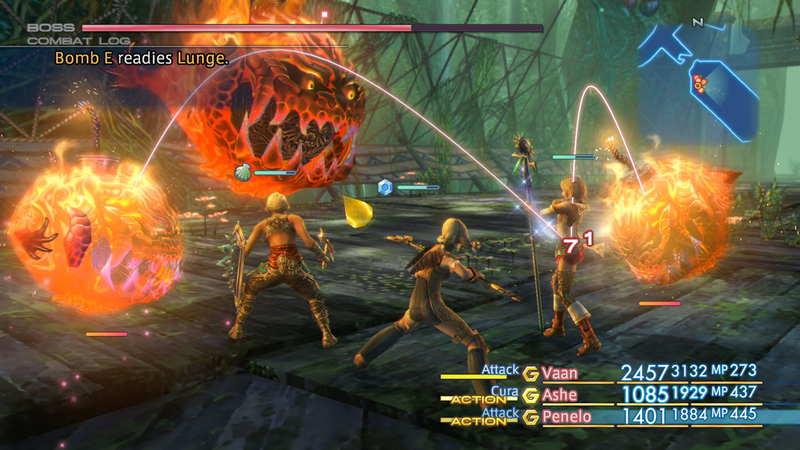 There are six main playable characters in FINAL FANTASY XII: THE ZODIAC AGE, and the battles in the game take place in seamless real time on the world exploration map. You choose one character’s attacks and the other members of your party operate on an AI system that you can adjust (called ‘Gambits’). 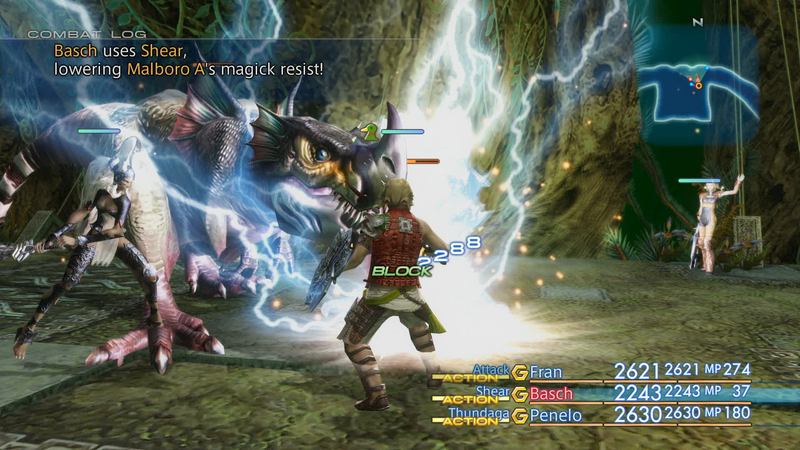 Truthfully, the combat itself has not changed all that much since the game’s original release in 2006. You select a target, you choose the ‘Attack’ option, and everyone attacks it using their spells, weapons, and abilities. You can have up to four people in your party at one time fighting. (Images courtesy of Square Enix). The biggest change to the classic game is the revised license board system. In the original game, there was only a single license board for all of the characters in the game to share. As a result, every character would often be more or less the same by the end of the game, since each additional license could be unlocked for every character and therefore there was never any incentive to play as all of the characters. In FINAL FANTASY XII: THE ZODIAC AGE, however, each job gets its own license board. So any character can be any job and there is therefore a much bigger reason to involve all of the characters in the gameplay, instead of just your favorites. 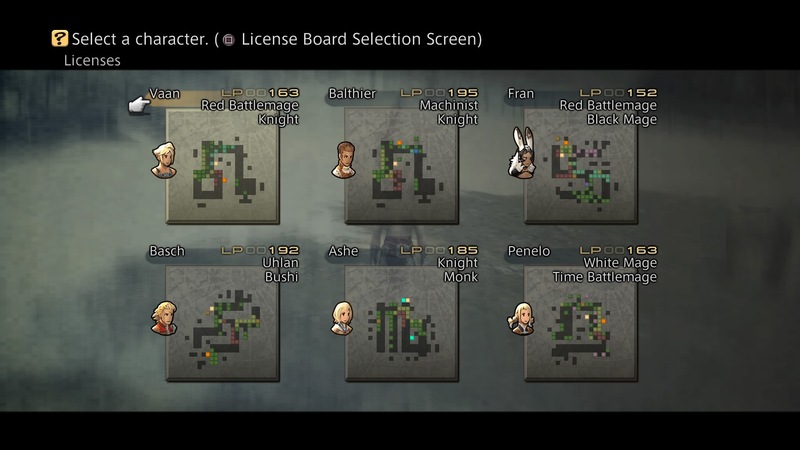 Each character in FINAL FANTASY XII: THE ZODIAC AGE has their own license board, in a major update from the original PlayStation 2 version. (Image courtesy of Square Enix). While playing this demo, the most obvious changes were that the graphics and sound in this release have updated to be right at home with the PlayStation 4, and they were not just a mere cosmetic paint job. I was consistently impressed with how gorgeous the land of Ivalice looked, and the lighting and character models, while perhaps not on the level of Horizon Zero Dawn, look leagues better than they did before on the PlayStation 2 (and certainly better than quite a few other PlayStation 4 titles, for that matter). Square Enix also apparently spared no expense in remastering the game’s soundtrack, as they brought back in Composer Hitoshi Sakimoto to re-score the entire game/add additional soundtracks, and I could really hear the clear and crisp audio and sound effects in the headphones I was wearing as a result. The cutscenes are more beautiful than ever on the PlayStation 4. (Images courtesy of Square Enix). The single biggest new feature that I absolutely loved was that I could activate a ‘High-Speed Mode’ with a single L1 button press. Instantly, the game speeds up from a normal semi-plodding pace to an almost VCR-style fast-forward-style gameplay. Everyone moves faster on the exploration maps, everyone fights faster in combat, and everything just goes quicker as a result. One of my biggest complaints about the original 2006 FINAL FANTASY XII game was that there was a lot of ‘dead time’ in the game of just moving from area to area or just grinding out enemies to obtain new licenses. With the brand new ‘High-Speed’ Mode, however, it largely removes the tediousness of the original game and makes it much more ‘snappy’ when you’re killing the same enemy for the umpteenth time or backtracking in a vast area for whatever reason. Judge Magister Gabranth of the Archadian Empire. (Image Courtesy of Square Enix). 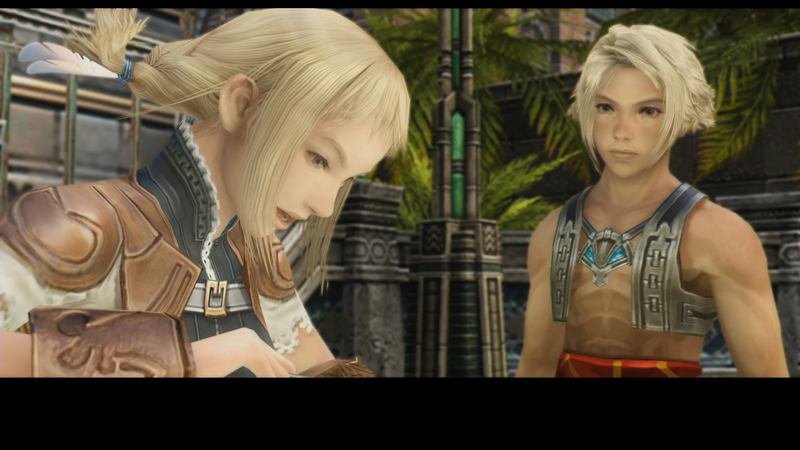 Based on my hands-on experience, if you’ve always hated FINAL FANTASY XII, FINAL FANTASY XII: THE ZODIAC AGE is not going to change your mind. If you absolutely loved the game or you were at best ambivalent towards it, then it is definitely worth checking out when the game releases in July. Did you play FINAL FANTASY XII when it originally came out? 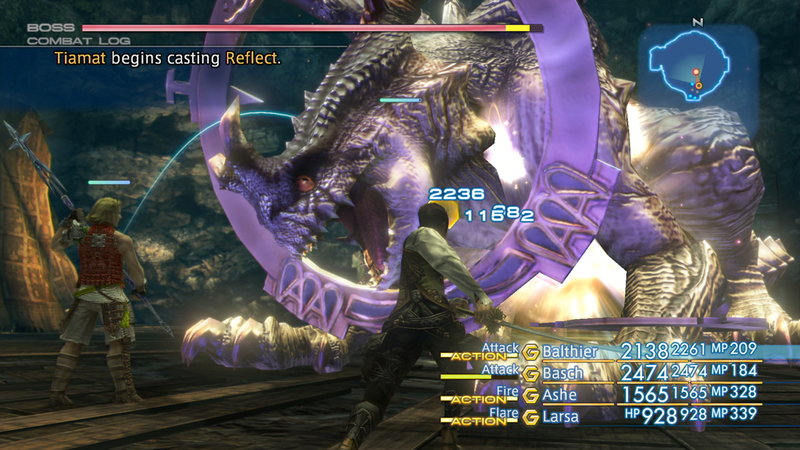 Will you be picking up FINAL FANTASY XII: THE ZODIAC AGE on release? Let us know in the comments below!